Use Full for : those who want to clear all sins and to lead the life of purity with success. Note : Above details are taken from ancient handwritten text and Guru Mukha. The description is seen in the deep meditation of Lord Shiva by Lord Datta Treya. Three Faced Rudraksha has three natural lines. It is the symbol of god Agni ( fire ). The Agni ( fire ) purifies every thing in the same way, the wearer of 3 Faced Rudraksha gets rid of the sins that he had done in his past life and returns to the purely true life. It is the best for those who have fallen prey to inferiority complex or fear stricken and suffer from self hatred or mental strain. In a short time after wearing it, the wearer feels its influence by attaining success in his efforts, favorable means, learning and knowledge. Its another best virtue is that it makes the wearer free from chronic fever certainly. Modern physicists and allopathic doctors accept that the patient of the fever that comes after every 3 days, is cured. 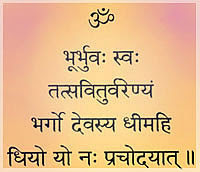 It contains the Trinity of gods Brahma and Vishnu and Mahesh and the trinity of Gunaas Sattva and Rajas and Tamas and the three spheres The Sky The Earth and The Paatal with their divine powers. For its divine powers this bead is the most sacred and powerful and the best. 3 Mukhi Rudraksha Bead is Known to be one of the most powerful Rudraksha for stopping all problems created in the past and existing in the present moment and about to take place in the Future. This Rudraksha Bead combined with appropriate Mantras helps to dramatically change a persons life for the better in the 40 days it takes to complete an initial Mantra Discipline. The 3 Mukhi Rudraksha Bead is a life saver. 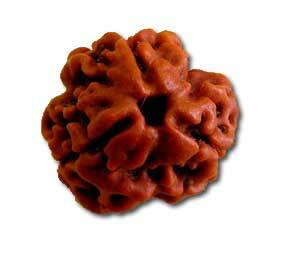 Rudraksa is a favorite bead of Siva. It is highly sanctifying. It removes all sins by sight, contact and japas. If a man is not liberated after Meditation and acquisition of Knowledge, he shall wear Rudraksha. He shall be freed from all sins and attain the highest goal. A Rudraksha of 3 Faces always bestows means of enjoyment. As a result of its power all lores become firmly established. sick. He is never defeated, and his house is not burnt by fire. These and all other fruits are obtained and destructive weapons also are warded off. Nothing inauspicious happens due to wearing of Rudraksa of three mouths i.e. when a Rudraksa of three mouths is worn on one's person. The one with three faces is Fire Himself, which on wearing pleases all the three Fire deities.